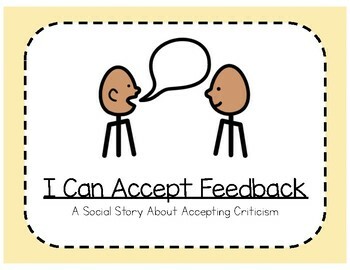 This social story introduces the concept of feed back and how to accept it. The skill is presented in fours step based on the Boys Town Social Skills Model. 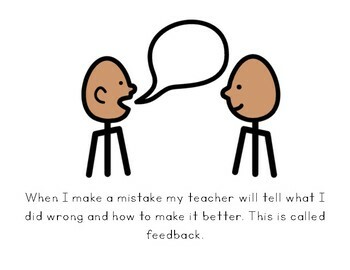 The story explains the four steps to accepting feedback and give rationales for each step. Each page of text is paired with visuals to help visual learners understand the skill. 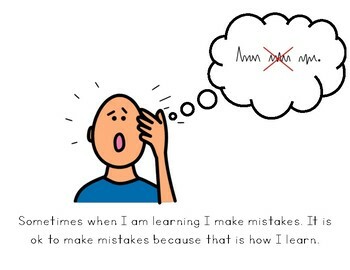 This social story also includes a poster visual that can be used to remind students about what they have learned. This story is great to use with students with Autism or for students with ADHD. This file includes a color and black-line copy.